Dortmund and Hoffenheim face a potential play-off for third spot this weekend. "An absolute cup final" is how Marco Reus described Saturday's Matchday 32 showdown between Borussia Dortmund and Hoffenheim, 90 minutes of high drama that could decide the race for third. Picked your official Fantasy Bundesliga team for Matchday 32 yet? Head here to do so now! That precious podium place makes all the difference between a smooth ride into the hallowed realm of the UEFA Champions League group stage, and having to negotiate the perils and potential pitfalls of a play-off to join Europe's elite. With just a point and a place between them, bundesliga.com dissects the two teams, laying bare how they match up ahead of Saturday's meeting. For Hoffenheim, the goals have been spread more evenly. Experienced striker Sandro Wagner has netted 11 times, while strike partner Andrej Kramaric has flourished along with his club this season. The Croatia international has notched 12 and teed up another eight to help the Sinsheim outfit win five of their last seven outings and keep a step ahead of the Matchday 32 opponents. 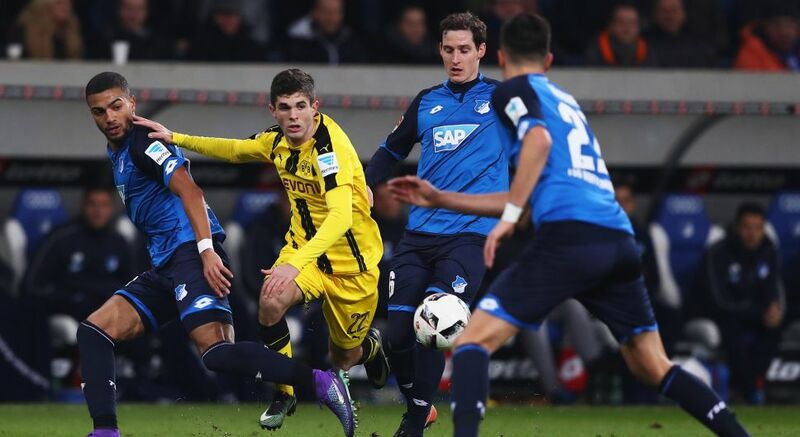 Verdict: As impressive as Kramaric and Wagner have been, Dortmund can surely outscore them. Further behind him, Sebastian Rudy, although a defensive player by nature, has also laid on seven goals, usually after serving as the catalyst for his club's trademark speedy counter-attacks. His battle with Dortmund’s Julian Weigl, an entirely different type of holding midfielder, should be a fascinating sub-plot. Verdict: Dortmund have the more menacing individuals, but Hoffenheim’s tactical flexibility and ability to turn defence into attack at breakneck speed means their collective strength could decide the midfield battle. The SIGNAL IDUNA PARK factor? Dortmund have not lost a Bundesliga game on their own patch for over two years (against Bayern in April 2015) with the vast majority of the intimidating 80,000 crowd fervently devoted to their cause. It will take a mammoth effort from Nagelsmann’s outfit to leave them disappointed, but surely BVB’s sensational home run will end at some point. Right? Watch: The Yellow Wall is a unique experience in world football. Click here for Dortmund-Hoffenheim Match Centre!